Whether or not you’ve tossed back a few local pints, the lineup of events during Asheville’s inaugural Beer Week, May 24-June 3, is dizzying. (And, yes, the celebration will last 11 days.) “We were tipsy when we were planning,” jokes beer columnist Anne Fitten Glenn, one of the event’s organizers. Truth be told, there’s just too much hoppy, malty, amber, lager, IPA greatness in the mountains to be enjoyed in a mere seven days. 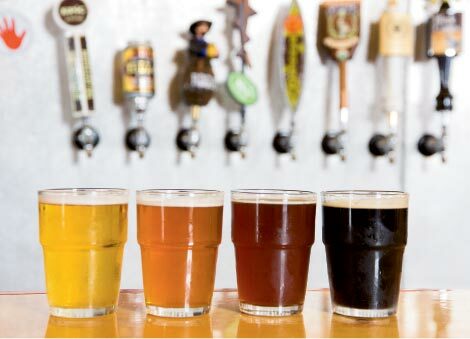 You’ll want to pace yourself for the onslaught of pint-centric happenings, a sampling of which includes the Just Brew It home-brew contest, West Asheville Can Crawl, Local Cask Night at Thirsty Monk, and Beer 101 and lambic seminars. You can’t survive on beer alone, so The Market Place is hosting a flight night pairing hors d’oeuvres and pours; five bucks is all you’ll need for a pint and taco special at White Duck Taco Shop; and the Battle Food Truck competition serves up dishes infused with beer from Pisgah Brewing Company. “It’s going to be cool—if my liver survives,” quips Glenn. www.beercityfestival.com or download the Beer Week app.